SES America, a Rhode Island-based manufacturer of dynamic LED signage is pleased to announce the installation and successful commissioning of seven trailblazer signs along the Remington area of I75 in Michigan. SES America, Inc. proudly announces the addition of its single line, full color embedded DMS to the Florida Department of Transportation’s TERL-approved product listing. The addition of full color embedded DMS to SESA’s already approved product line continues to build out the offering of high-quality, energy efficient dynamic message signs the Rhode Island-based company manufactures for installation on highway projects across the US and Florida. 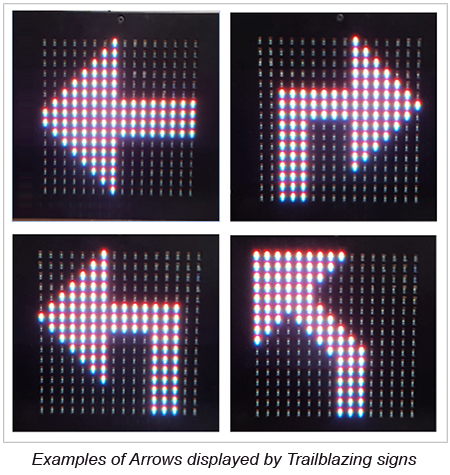 Each embedded DMS is able to display standard characters in both 12” and 18” heights in a variety of vivid MUTCD-compliant (Manual of Uniform Traffic Control Displays) colors, and is capable of being used for a myriad of applications including variable toll rates, lane status messaging, travel times and advisory messages. The signs are controlled by a state-of-the-art controller located in a roadside cabinet, complete with a full-color touch screen, full NTCIP compliance and the ability to control multiple embedded DMS from a single controller. 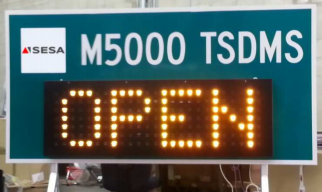 SES America, Inc. is proud to announce the addition of its M5000 Task-Specific Dynamic Message Sign to the Florida Department of Transportation’s Approved Product List (APL). The addition of the M5000 TS-DMS to the APL is a continuation of SES America’s commitment to bring its full product line of industry-leading energy efficient DMS to the State of Florida. 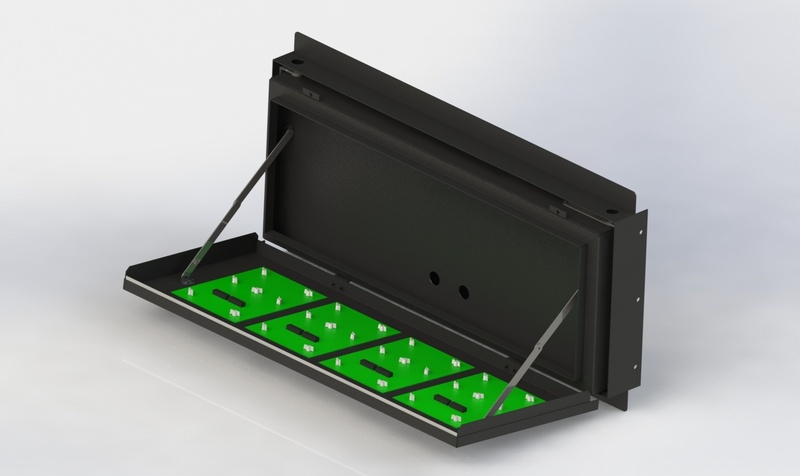 The M5000 TS-DMS features low power consumption display boards outfitted with high intensity LEDs, housed in a NEMA TS-4 rated DMS housing. The M5000 is designed to be installed within static highway signs, perfect for applications such as toll rates and lane status messaging. The M5000 TS-DMS joins a short list of embedded DMS approved by the Florida DOT Traffic Engineering Research Lab for sale in Florida. Known nationwide for stringent quality standards, districts in Florida must adhere to the FL DOT Approved Products List for all Traffic Control Device purchasing decisions.